Milestone moment! 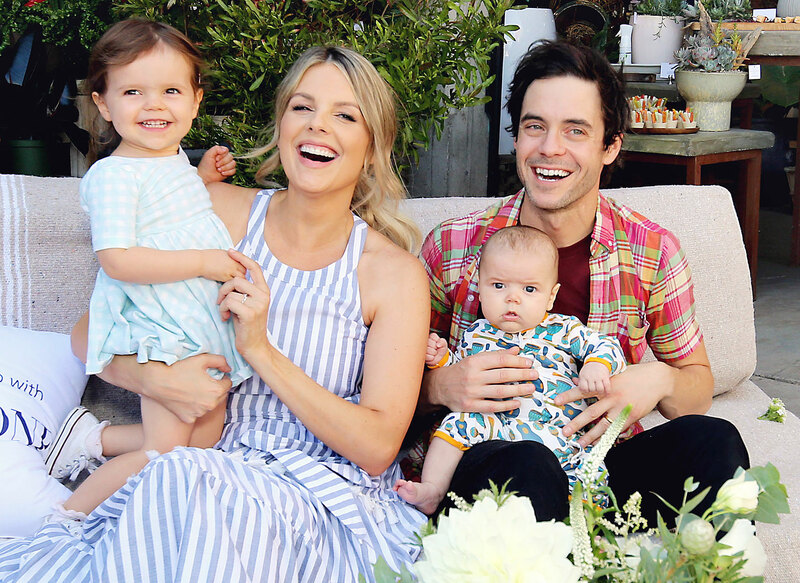 Ali Fedotowsky‘s 8-month-old son, Riley, said his first word, and the former Bachelorette got the little one to speak on camera. In the video, the reality star’s husband, Kevin Manno, asked his baby boy to say “dada” — and he did! The mother of two could be heard in the background, yelling, “Yay!” Fedotowsky also shared a sweet shot of her son to start, sporting a white onesie and a huge smile. I love my bed and my momma. Catherine Giudici, fellow member of Bachelor Nation, showed her support in the comments. “He’s a genius!” she wrote. She announced her little one’s name one day later. Riley joined the couple’s daughter, Molly, who was born in 2016. The Massachusetts native hasn’t just kept her fans up to date on her baby boy’s major moments, but has opened up about her postpartum body progress as well.